JACQUELINE HOPKINS WAS BORN IN AND STILL RESIDES IN THE OXFORDSHIRE VILLAGE OF LONG HANBOROUGH. HAVING ATTENDED ART COLLEGE AS A MATURE STUDENT SHE NOW REGULARLY TEACHES TECHNIQUES IN WATERCOLOUR. COMBINING UNIQUE PLAYFUL TECHNIQUES JACQUELINE CREATES HER VERY RECOGNISABLE STYLE OF WATERCOLOUR IMAGES, HER MAIN SUBJECTS ARE WOODLANDS, LANDSCAPES, FLOWERS AND OCCASIONALLY ANIMALS. SHE HAS ENJOYED EXHIBITING HER WORK ON VARIOUS OCCASIONS. HER WORK HAS BEEN FEATURED ON CHANNEL 5. 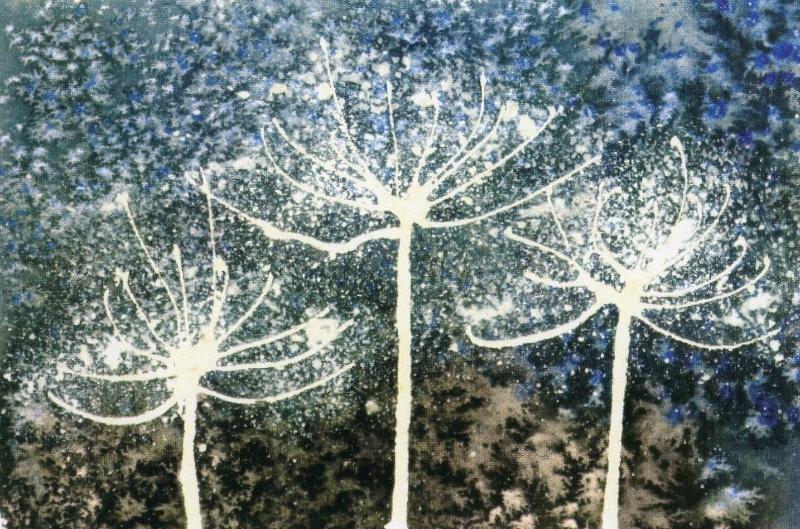 JACQUELINE’S FAVOURITE SUBJECT, IN ANY SHAPE OR FORM, IS ‘TREES’.